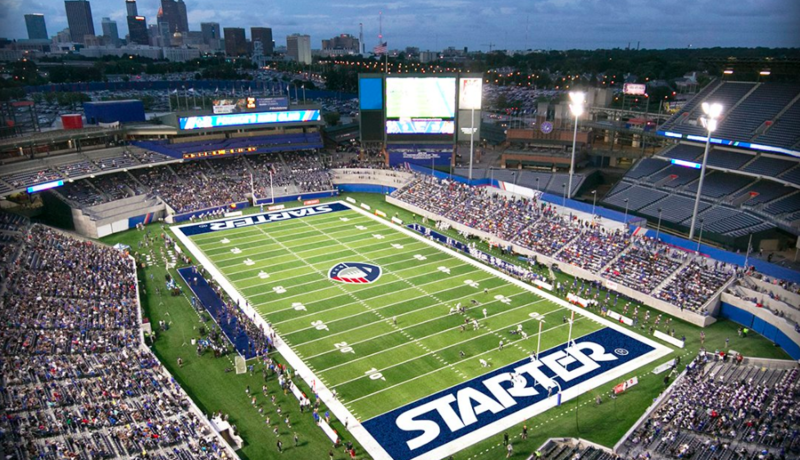 Starter has signed as as the official on-field apparel and game-day uniform supplier to the Alliance of American Football when the alliance debuts in February 2019 as part of a multi-year deal with G-III by Carl Banks. Starter has not had an on-field presence since 1998. Founded by TV and film producer Charlie Ebersol and Hall of Famer Bill Polian, The Alliance features eight teams under a single-entity structure playing a 12-week season kicking-off February 9, 2019 on CBS and culminating with the championship game the weekend of April 26-28, 2019. The franchises are located in Atlanta, Birmingham, Memphis, Orlando, Phoenix, Salt Lake, San Antonio and San Diego. Many of the coaches include former NFL and college football coaches and players like Steve Spurrier, Brad Childress, Mike Singletary, Mike Martz and Michael Vick.